What services does Advanced ICU Care provide? Advanced ICU Care offers comprehensive tele-ICU services, with a proven track record of improving the clinical, financial and operational performance of its hospital partners. As the nation’s largest tele-ICU provider, Advanced ICU Care has successfully implemented and managed more programs than any other organization. Our best-in-class programs combine experienced intensivist-led care teams, sophisticated telemedicine technology and a rigorous focus on evidence-based best practices to improve patient care and safety. Why was Advanced ICU Care formed? Advanced ICU Care was formed to improve the quality of care in the intensive care unit and address the challenges associated with the current and growing shortage of intensivist physicians. Specifically, our tele-ICU services enable hospitals to achieve 24/7 coverage by credentialed intensivists, improve clinical outcomes, and upgrade the quality of life for the critical care professionals. What are the Advanced ICU Care tele-ICU programs? The typical Advanced ICU Care tele-ICU program combines experienced, intensivist-led care teams with telemedicine technology and a continuous process improvement program to drive the highest level of care in the ICU. These programs provide 24/7 monitoring of ICU patients by an intensivist-led care team with a rigorous focus on best practices. We have also have developed programs that offer clients the opportunity to utilize our technology and operations while supplying their own intensivists staffing. How does the Advanced ICU Care tele-ICU program actually work? The Advanced ICU Care intensivist physicians operate from one of our centralized operations centers, where they and their clinical teams constantly monitor patient data, including vital signs, medications, labs, and clinical status. Because our proactive data management tools identify problems before they become urgent, the Advanced ICU Care team can work alongside hospital staff to address situations immediately, before complications develop. The team also uses two-way video to enable face-to-face consultations with bedside physicians and nurses day or night, or with patients or their families. With Advanced ICU Care, patients receive the highest level of care recommended for U.S. hospitals today: 24/7/365 attention by highly trained, experienced intensivist specialists. Advanced ICU Care’s experienced critical care team constantly monitors the patient’s condition using data management tools that identify problems before they become urgent. This added layer of care saves lives, shortens hospital stays, and helps avoid infections and complications. What are the benefits for bedside physicians? With Advanced ICU Care, bedside physicians have an always-on partner that ensures emerging issues are dealt with immediately. Physicians can be confident that calls and crises will be significantly reduced, giving them more time for their outpatient practice and other pursuits. Advanced ICU Care’s tele-ICU solution means that their sickest patients are vigilantly monitored when they are not present. 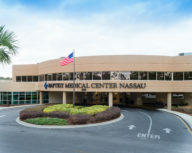 The Advanced ICU Care intensivist-led care team is connected with each patient at the bedside, working around-the-clock, complementing the care plans that the bedside physician sets in motion and collaborating to provide 24/7/365 intensivist coverage that is the recommended best practice in the ICU today. Physicians can feel reassured that their patients are receiving the highest recommended level of care, with less —not more — time demanded from them. These benefits come with no loss of revenue. The physician’s billings for ICU patients do not change and consultative preferences are respected. What are the benefits for critical care nurses? In partnering with Advanced ICU Care, critical care nurses have an experienced intensivist available to them 24/7. Nurses are relieved of the stress that accompanies the need to contact a doctor when one is not available, whether it is the challenge of contacting him or her or determining whether to place that “wake-up call” in the middle of the night. An intensivist is always available to address an urgent condition or even coach a nurse through a procedure such as intubation. The nurses’ team also gains additional critical care nurses to help them deliver on best practice standards, and to evolve them as part of broader process improvement initiatives. Frequently used interchangeably with “telehealth”, telemedicine is the use of medical information exchanged from one site to another via electronic communications to improve patients’ health status. It can encompass services such as consumer health monitoring or appointment by phone, as well as hospital services such as ICU. An Intensive Care Unit (ICU) is a hospital unit that has special equipment and specially trained personnel for the care of seriously ill patients requiring immediate and continuous attention. A tele-ICU is a care model that uses sophisticated telemedicine technology and care specialists to allow a remote care team to continuously monitor patients in a hospital’s ICU. Advanced ICU Care uses a “continuous” model of tele-ICU, which means that its intensivist-led care teams are constantly monitoring the status of patients and even initiating care interventions, rather than waiting for a call from a bedside team to consult on an issue. What quality improvement has been achieved by hospitals that have implemented a tele-ICU? It is clear from the medical literature that 24/7 monitoring of patients by intensivists in the ICU results in better patient care and lower mortality. However, less than 20 percent of hospitals have intensivists providing around-the-clock coverage. The study “Updating the Leapfrog Group Intensive Care Unit Physician Staffing Standard” found that more than 54,000 ICU deaths per year could be avoided in the ICU if intensivists were consistently monitoring patients in every ICU. Other studies published in the Journal of the American Medical Association and conducted by the New England Healthcare Institute found that ICU patients have lower risks of death and shorter ICU and hospital stays when continuously monitored by a tele-ICU. In 2017, Advanced ICU Care saved over 1,600 lives and reduced mortality by 33% when compared to what would have been expected otherwise, based on the condition of patients when they arrived at the ICU as measured by APACHE (Acute Physiology and Chronic Health Evaluation) IVa data. Will the Advanced ICU Care program make a hospital Leapfrog compliant? Implementing the Advanced ICU Care program may enable your hospital to become Leapfrog compliant. Hospitals that use intensivists via telemedicine achieve partial recognition by The Leapfrog Group and, depending on the additional ICU resources, may achieve full compliance.